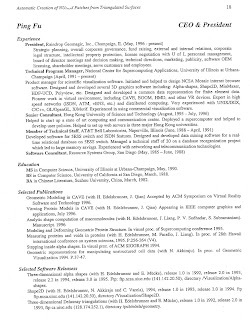 NSF has located more versions of Fu Ping's resume in her application file. 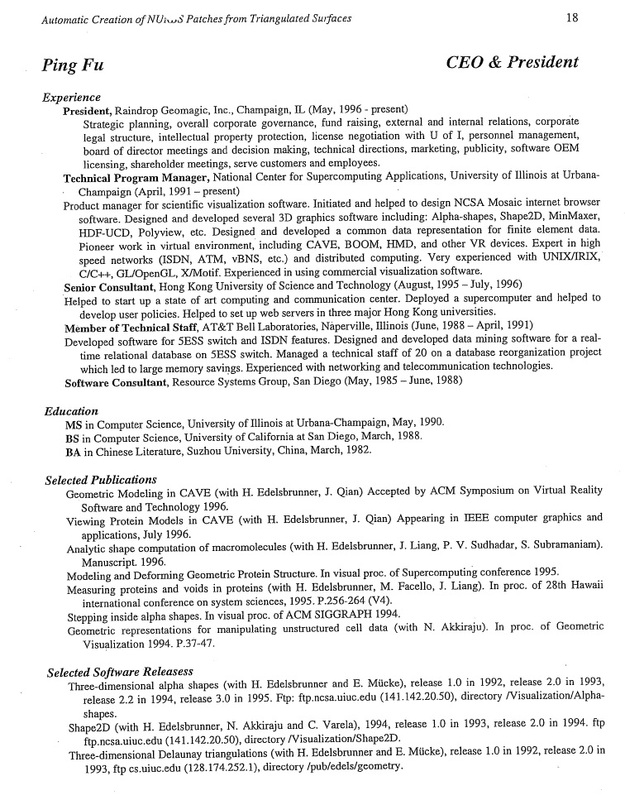 Besides the one submitted in early 1990s, below is a version used around 1997, when she was CEO & President of Raindrop Geomagic. This version no longer lists a Lecturer position as work experience or a translated children's book as publication, but still lists a BA from Suzhou University as her educational credential. She also included a new "Senior Consultant" position at Hong Kong University of Science and Technology for the academic year of 1995-1996. For her work at the National Center for Supercomputing Applications, she described it as "initiated and helped to design NCSA Mosaic internet browser software."